Reforms planned to leaseholders’ ‘Right to Manage’. Published March 2019. Home » News » Construction & Property PI » Reforms planned to leaseholders’ ‘Right to Manage’. Published March 2019. Leaseholders in blocks of flats have the ‘right to manage’ (RTM) their homes by setting up a management company to take-over management from the freeholder. However, at present few exercise the right as it is seen as too uncertain and expensive. 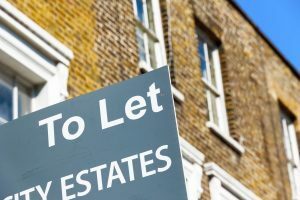 The Law Commission now wants to make it quicker and easier for leaseholders to take over the management their own properties. RTM was introduced by the government in 2002. It allows leaseholders to take over the management of their flats without having to prove mismanagement by their landlord. Take-up of the right has been very low. Leaseholders complain that the procedures are complex with small procedural errors blocking their RTM. They also say that costs are too high with them having to meet most of the landlord’s costs. Now the Law Commission is consulting on measures to simplify the system. It also wants to strip away restrictions which prevent owners in blocks with more than 25% commercial space from managing their own properties. The Law Commission’s plans are expected to make it far easier for homeowners to exercise their RTM. The Law Commission’s press release and consultation have been published on its website. Reports about the move have been published by Mortgage Strategy, and Kingsley Napley.